If you can find me a blogger who doesn’t love stationery then I’ll eat my hat (if you then provide me with said hat to eat!) I don’t know what it is about stationery, but us bloggers just go mad for it. There’s nothing better than starting a brand new notebook. And even better if you have a new pen to go with it. At my previous work one of our unofficial interview questions was always to ask what someone’s views on stationery were. If they were not excited about it, we knew straight away they wouldn’t fit in! I was so excited when I was sent some Ryman Personalised Stationery to try out. 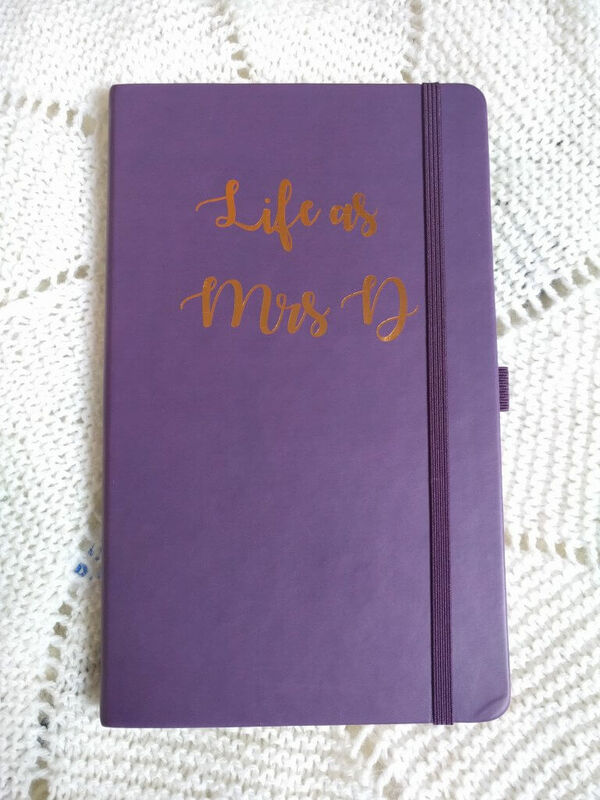 I was sent the purple Soft Cover Medium Notebook which has been personalised with Life As Mrs D in copper foil. It has an elasticated closure, as well as a ribbon bookmark, which I love, as I hate having to flick through to find the next blank page. Each page is lined as well, which pleases me, as before I’ve picked up notebooks before, only to get home and find that all the pages are blank! I can’t write in straight lines for toffee, so they end up just sitting, unused, in a drawer! 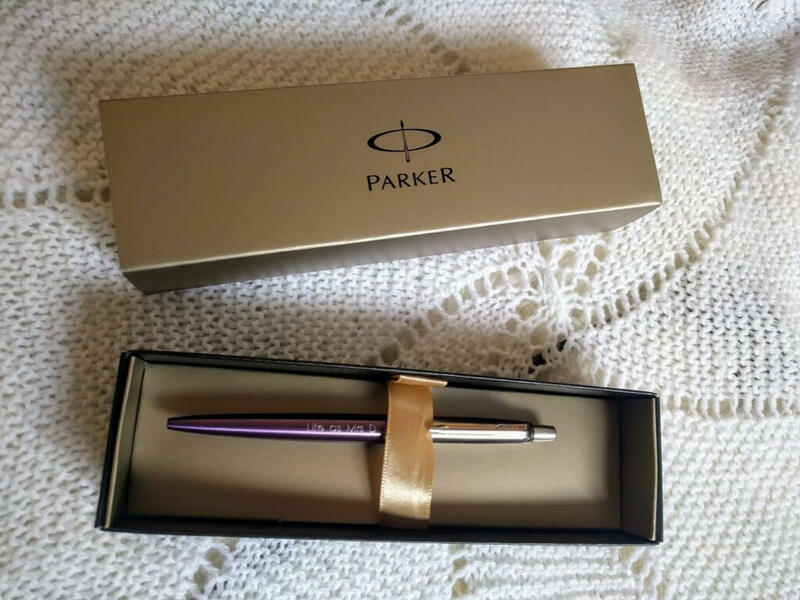 I was also sent a Parker Jotter Ballpoint pen in Victoria Violet, which is engraved with Life As Mrs D. (Can you tell yet that I like purple!?) The pen is so smooth to write with, and is refillable, so there’s no heartbreak of having to get rid of it when the ink runs out. My only criticism of this would be that it would be great if there was a choice of what colour ink it came with. I much prefer to write in black in, but this only comes with blue ink. That’s just me being fussy though. And when doing some work with your new notebook and pen, you can’t beat a good cup of Earl Grey in your new mug! I love fun mugs, but Chris moans at me if I buy them as “we have enough”. Can you honestly ever have enough good mugs!? This one is again personalised, but this time I went with S is for Sophie. I love the mug, as I’ve always wanted a personalised mug (high aspirations!) but I was disappointed when I opened it, as the Ryman website states that it should read M is for Mummy on the back of the mug, and then the front can be personalised to whatever word and initial you wish. 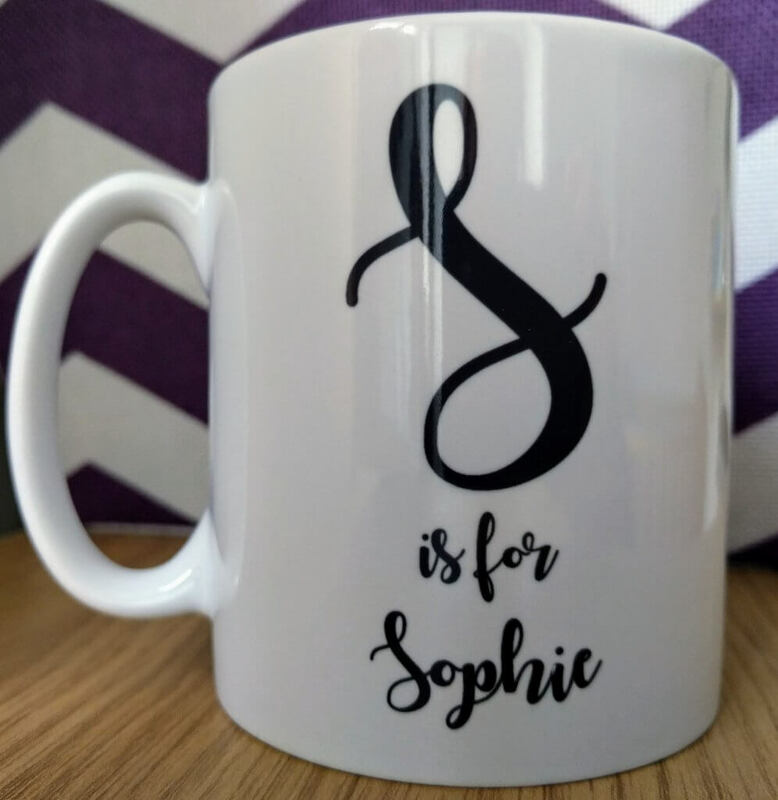 Unfortunately my mug has S is for Sophie on both sides, which I was really upset about, as I thought it would then make is really special to have a Mummy mug. 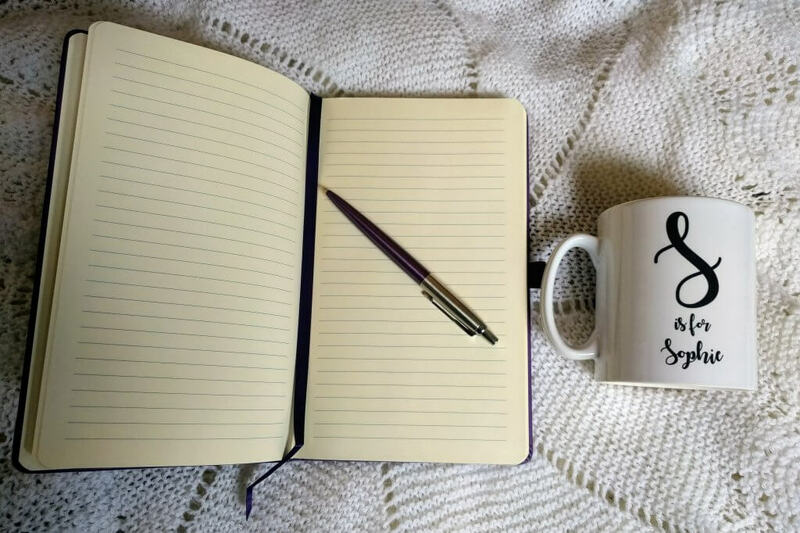 Despite the error with the mug, I was really pleased with all of the Ryman personalised stationery I was sent to review, and have loved testing them all out. Lovely stationery makes working so much more enjoyable, don’t you think? Ryman have a lovely selection of personalised stationery, so pop over there and have a look what you might add to your wish list! These items were sent to Life As Mrs D free for the purpose of this review. As with Life As Mrs D’s disclosure policy, all views and opinions are my own.